Aikido is a Japanese martial art based on the principle of Ki, that is, the harmony or balance of energy. One seeks to overcome an attacker by first blending with the incoming attack then redirecting its energy. 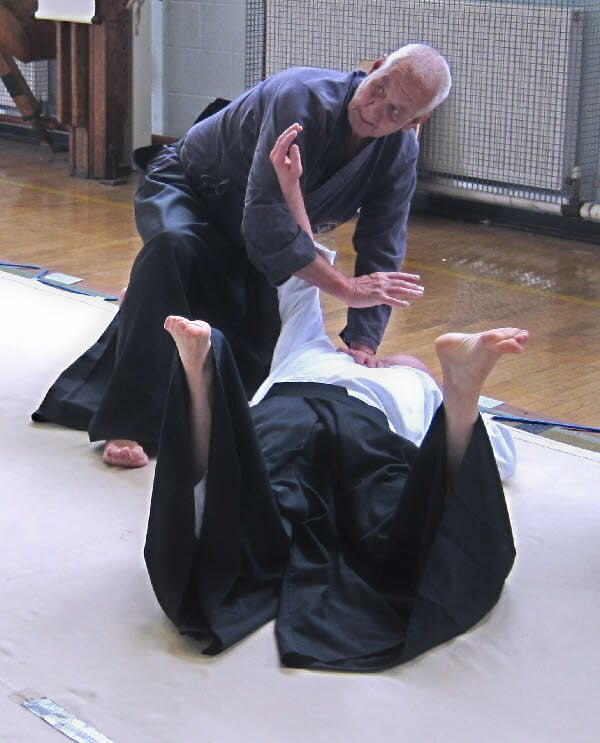 Taking the attackers balance both physically and mentally and then controlling the movement is important in Aikido, as is the development of the use of Ki rather than strength. Many of the movements in Aikido are based on movements with sword and other weapons. 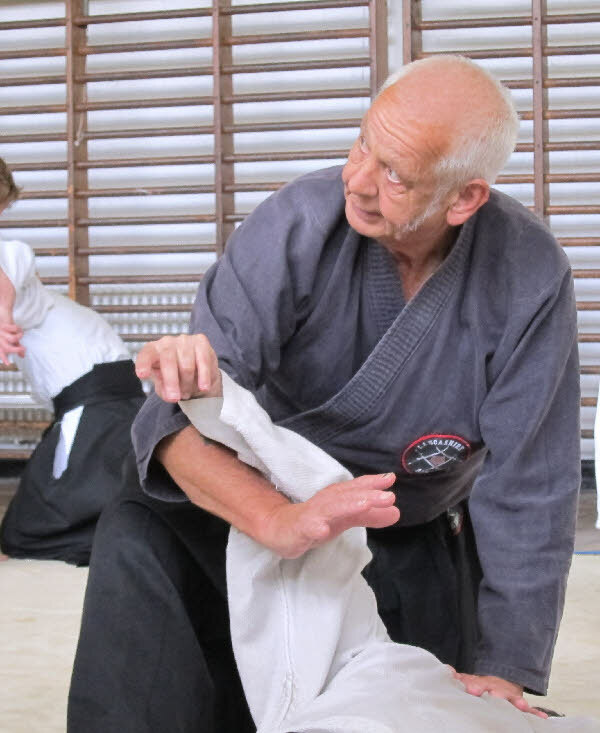 Aikido in the UK is practiced by over 10,000 people. Its has a low profile as many have not heard of it. The usual questions are is it like judo or karate to which the answer is no - the next question is it the one with sticks - usually meaning swords and Kendo. So how can we describe aikido? Its hard to do this but you can recognise it when you see it. We say it is a martial art so to that extent it has a commonality with these other arts/sports but traditional aikido is not a sport in the sense of competing unless you think of improvement of your own techniques as self competition. Aikido practice removes competition by the defender being nominated in advance. Its breadth of skills and practices to be learnt and understood is immense. It encourages you to improve and perfect technique. So what's a perfect technique? It is where you control effortlessly a incoming force (an attacker) and effectively neutralise with control. Simply put if you combine mind and body your defence is irresistible. Aikido chartistic is that of controlloing circular movement. The vision of Aikido is worth hundreds of word and is why we have some U Tube clips for you to view. We are going to develop short clips of aikido movements to support beginners on this website - as a future development.